Melbourne on the World Stage - Australian Wine Tour Co.
It’s that time of year when attention from all over the globe is tuned in on the world-class city of Melbourne… Australian Open time! For the next two weeks Melbourne will play host to the finest tennis players from around the world – which presents a perfect opportunity to display some of our finest wines to the world. I wonder if any of these international visitors are aware that just over one hours drive from the bright lights of Rod Laver Arena lies one of Australia’s most exciting, and one of the World’s most diverse wine regions – The Yarra Valley. The unique landscape and terrain of the Yarra Valley creates an array of different growing environments that cater for outstanding cool climate wine production. With diverse influences that includes Mediterranean and continental climates, as well as varying elevation from 50m – 1250m with impact of the Great Dividing Range, and a number of different soil types… the Yarra Valley is one of the few regions able to produce such a diverse array of world-class wines. 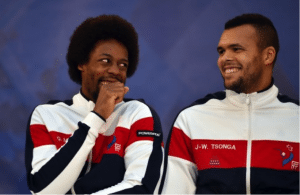 Do you think Gael Monfils and Jo-Wilfred Tsonga realise there are Chardonnays and Sauvignon Blanc being made just down the road that might even rival their infamous French origins…? Or are Rafael Nadal and David Ferrer aware that there are Pinot Noir produced just 45kms from the CBD that contend with some of the finest Spanish reds from their homeland…? We’d Love to Show Them! That doesn’t mean you can’t enjoy it in their absence! Check out the full range of award winning tours we have on offer at Australian Wine Tour Co. today – and contact us to book an unforgettable wine experience with Melbourne’s leading wine tour operation.